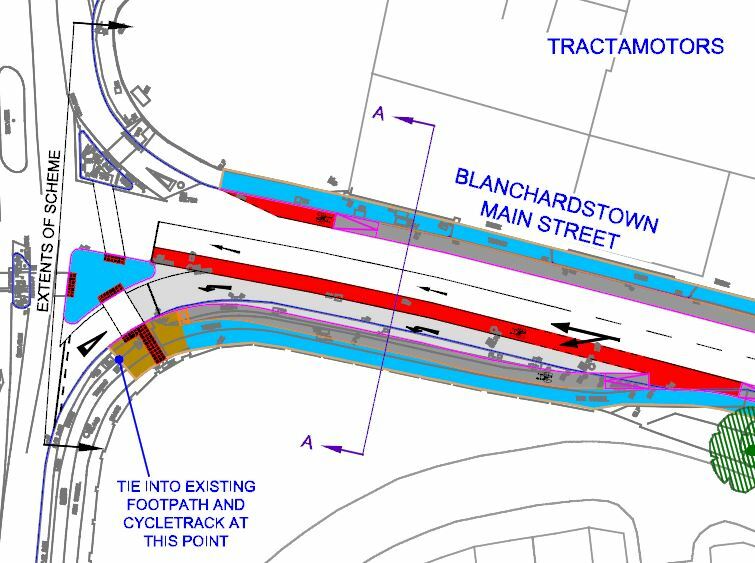 Public consultation has just ended on the Blanchardstown to Phoenix Park cycle route — this route is ambitious for tackling a confined main route and giving space over to cycling, but it’s also full of missed opportunities and disregard the Manual for Urban Roads and Streets, which the council are obliged to follow. Possibly the worst element of the route shows a distinct disrespect for the law, or disrespect for cyclists — we’re not sure which one it is. In any case, putting cyclists into share space which leads into zebra crossing is disrespectful of road safety. 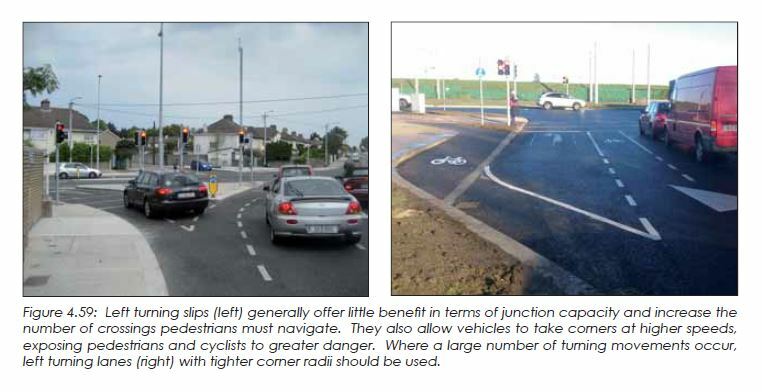 Bicycles legally should not be cycled across zebra crossings, but the Fingal County Council directing cyclists into the crossing will likely give many cyclists the wrong impression. Motorist rightly won’t be expecting to have to yield to cyclists on a zebra crossing. Combining those two is looking for trouble. On sections of the route where there’s very limited space cycling is mixed with motor traffic in the one lane, with large bicycle logos painted on the surface and 30km/h speed limits. 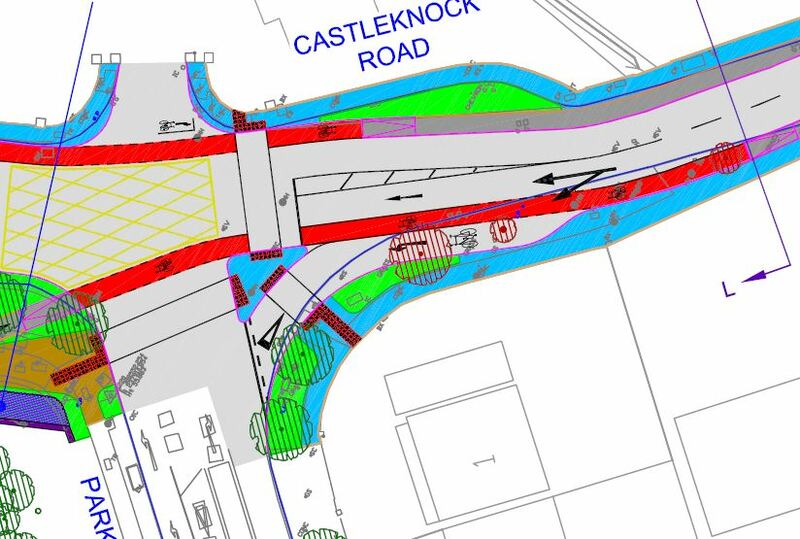 KEY: Purple = shared use ramp; brown = shared use space; red = cycle lane; darker grey = cycle path; blue = footpath; green = grass. The current railings in the gate structure between the road gates and the pedestrian gates could be made into gates to allow for a fully-segregated cycle paths. The current segregated cycle paths in the park could then be linked with the segregated paths proposed outside the park. 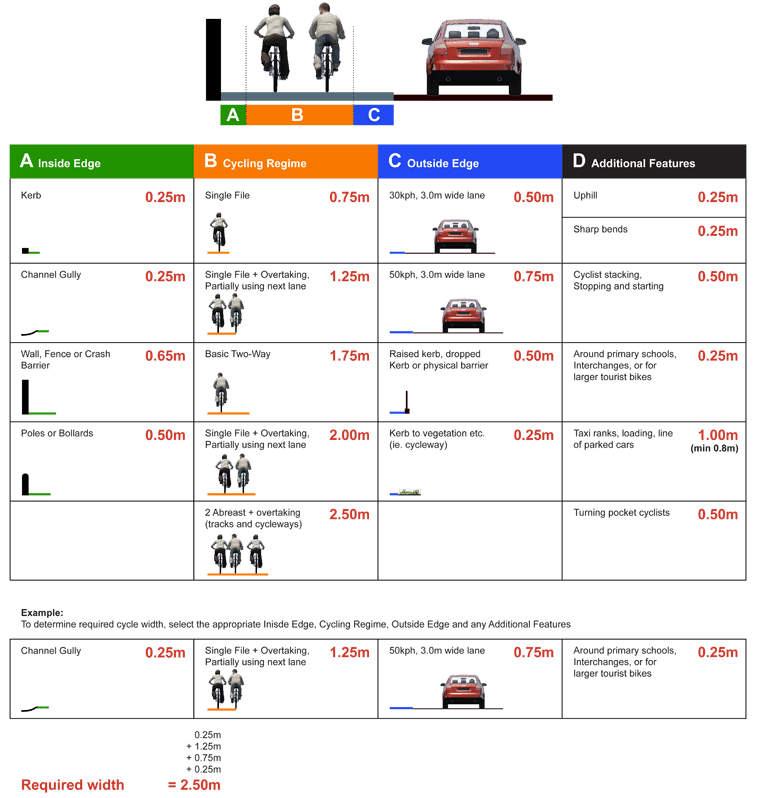 The 1.75 meters comes allowing for the “inside edge” space for a kerb or a channel gully of 0.25m, the single file “cycling regime” of 0.75m, and the “outside edge” of 0.75m in a 50km/h zone and allowing for a 3m wide traffic lane. 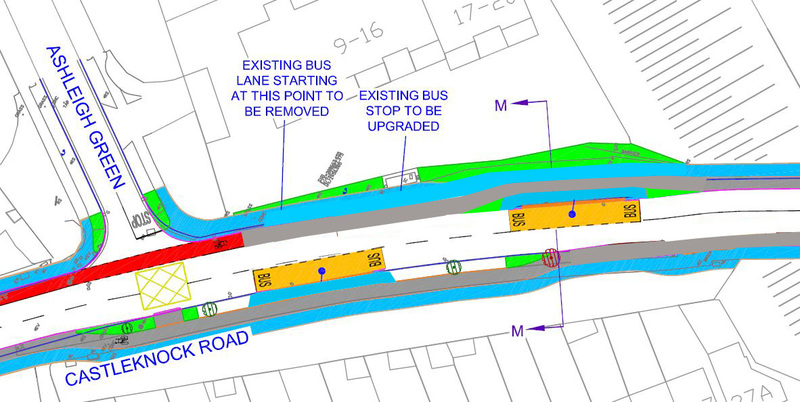 But in the case of a cycle lane which is between two traffic lanes, there’s no inside edges. There’s now two “outside edges” between bicycles and motor traffic. The default then for a cycle lane between two 3 meter traffic lanes in a 50km/h zone is 2.25m. 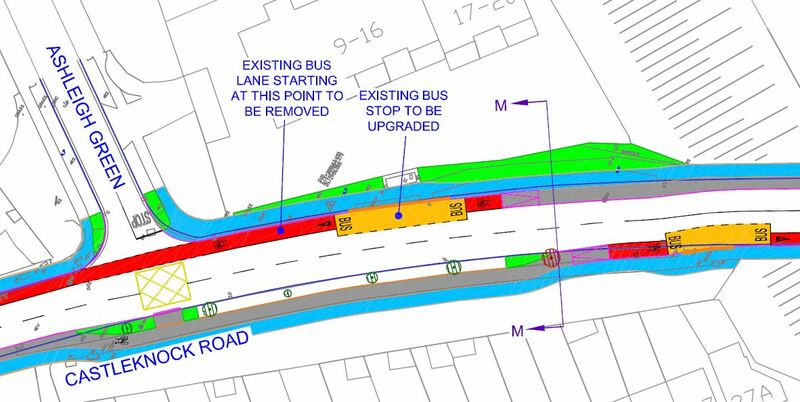 The inside traffic lane in this case is slightly shy of 3 meters — it’s 2.95m — so even if we were to expect and allowed for slower traffic in the lane because of the slight lane width reduction, the cycle lane should not be narrower than 2m as there will be buses in the inside lane. 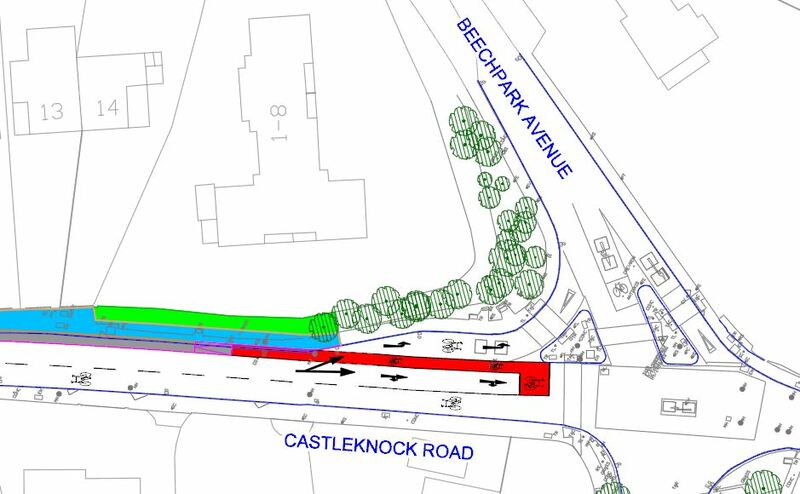 Regardless of the width, the planned setup is hardly attractive to cycling on your own or with children to the park — many will choose to use the footpath where the segregation ends. 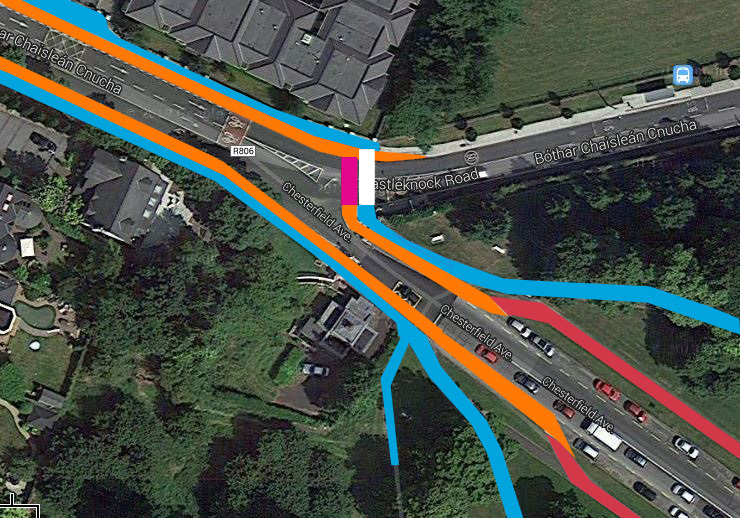 KEY: Red = current cycle paths; blue = current footpaths; orange = possible cycle paths; white = current pedestrian crossing; purple = possible cycle crossing. Provide crossings on all arms of a junction. Reduce kerb radii, thereby reducing crossing distances for pedestrians and slowing turning vehicles (see Section 4.3.3 Corner Radii). Omit left turn slips, which generally provide little extra effective vehicular capacity but are highly disruptive for pedestrians and cyclists. Where demand warrants, they may be replaced with left tuning lanes with tighter corner radii (see Figure 4.59). Omit staggered crossings in favour of direct/single phase crossings (see Section 4.3.2 Pedestrian Crossings). Omit deceleration lanes. These are not required in low to moderate speed zones (i.e. up to 60km/h). So much for the urban design manual being mandatory? The route in general is an improvement to what’s there now, but it’s so close to being a lot better. There’s sometimes understandable compromises, what’s planned however goes beyond compromises: it uses shared space where there’s room for cycle paths, it also does not bother with bus stop bypasses where there’s space, it messes about directing cyclists into zebra crossings and the segregation ends at key points where people need it the most. Hi, live locally and walk/drive/cycle this area so know it well. There is an ignored alternative route which has much more space for cycle paths especially on Auburn Avenue. Head up Castleknock Road from the Park. Turn right onto Auburn Avenue. 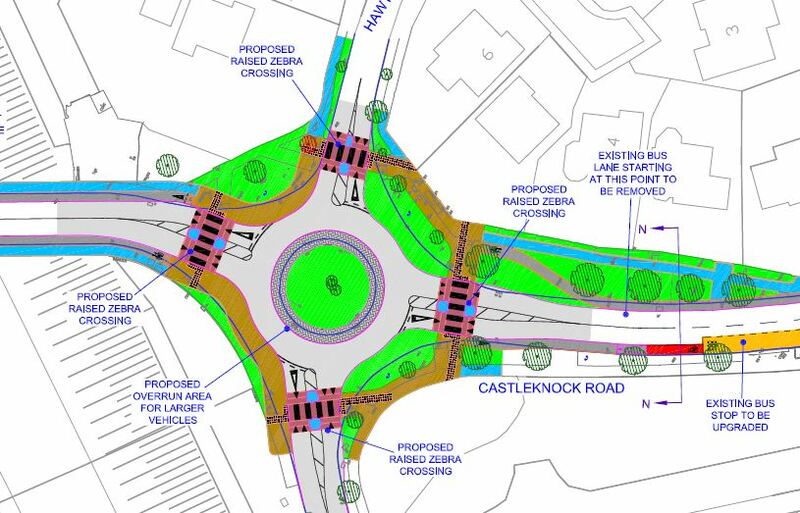 Turning right at the roundabout at the north end of the avenue, cross the M50 beside Castleknock Tennis Club. This “pedestrian” bridge is used by many cyclists already. Across the bridge is the old Navan Road which takes you into Blanchardstown Village. 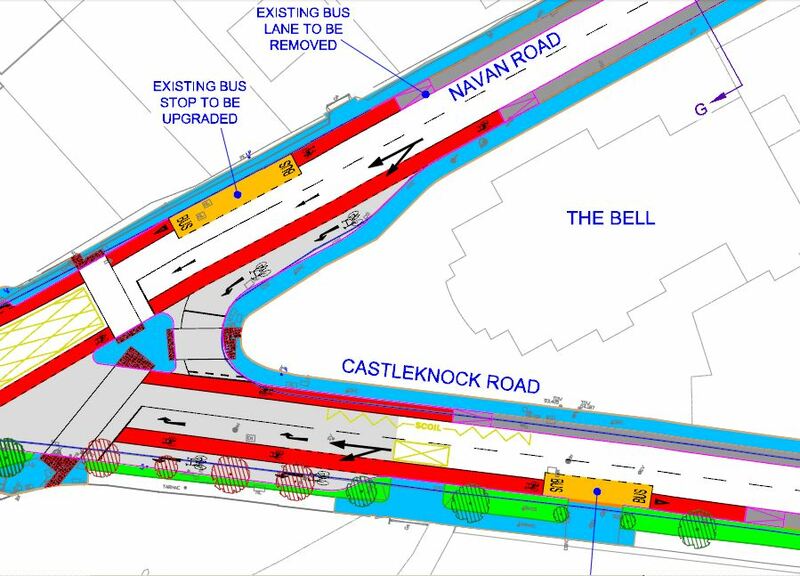 Thus avoiding all the complications of the Castleknock Road route, and also avoiding the destruction of many mature trees especially at Laurel Lodge near the railway station. It would also save a lot of money compared to the proposed route. 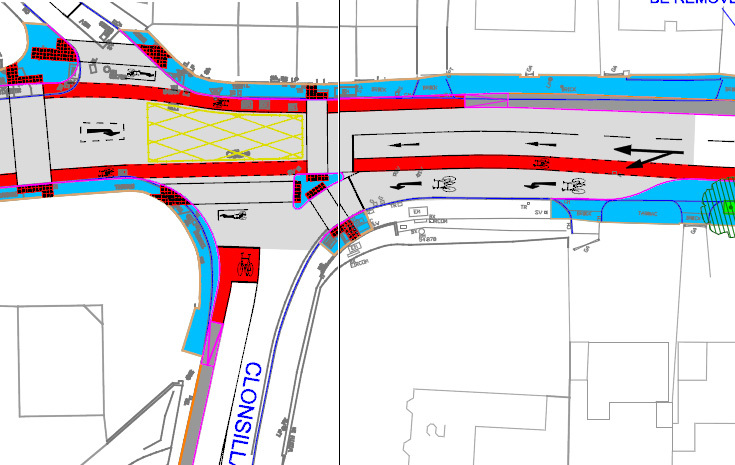 who is dealing with this scheme in Fingal County Council????????? @ Ann — I don’t know, you’ll have to contact the council directly.